Your doctor will talk with you about your symptoms and when they first began. If you can remember a specific injury or activity that caused your shoulder pain, it can help your doctor diagnose your shoulder problem — although many patients may not remember a specific event. Any work activities or sports that aggravate your shoulder are also important to mention, as well as the location of the pain, and what treatment, if any, you have had. 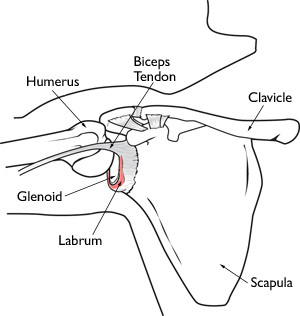 The majority of patients report improved shoulder strength and less pain after surgery for a SLAP tear. Because patients have varied health conditions, complete recovery time is different for everyone. In cases of complicated injuries and repairs, full recovery may take several months. Although it can be a slow process, following your surgeon’s guidelines and rehabilitation plan is vital to a successful outcome.